Following Australian Federation in 1901, ‘Yass-Canberra’ was selected as the region to host the Australian seat of government in 1908. In 1911-12, an international competition was conducted to design Australia’s capital. It was won by the Chicago team of Walter Burley Griffin and Marion Mahony Griffin. The new city was named by Lady Denman at the Foundation Stones ceremony on Capital Hill, on 12 March 1913 – now celebrated as Canberra Day. Today, Canberra’s population of some 340,000 enjoys an unprecedented lifestyle, living minutes away from unspoilt nature parks and the magnificent Murrumbidgee River system, as well as enjoying the benefits of a diverse and cosmopolitan city. Austraining International is a project management company with people at the focus of our program delivery. We work with our clients to build capacity of local people through volunteering programs, enhance international education support through scholarship programs, and improve livelihoods through our community-focused development programs. Our network of offices throughout Asia, the Pacific and Latin America, plus staff based in Africa and the Caribbean, means we provide access to development specialists with local expertise and know-how. Wholly owned by the Government of South Australia, we have an established network of more than 600 partner organisations in Australia which support and enhance our social development work. Over the last 20 years Austraining has delivered over 300 bilateral and multilateral projects in Australia and throughout Asia, Pacific, Africa, Latin America, Caribbean and the Middle East. Corrs Chambers Westgarth is a world class law firm committed to driving Australia’s competitiveness and its economic engagement with Asia. The firm has offices in Sydney, Melbourne, Brisbane, and Perth as well as strong partnering relationships globally and throughout the Asia Pacific region, making it ideally placed to support clients whose businesses extend internationally and nationally. Corrs’ lawyers work across geographic boundaries and practice areas and they are consistently involved in the highest profile work in the Asia Pacific region and in Australia. Cardno is an ASX-200 professional infrastructure and environmental services company, with expertise in the development and improvement of physical and social infrastructure for communities around the world, including Indonesia. The company has been operating since 1945 and has more than 8,000 employees worldwide. Cardno plans, designs, manages and delivers sustainable projects and community programs in over 85 countries globally and is represented in the majority of states and territories in Australia and has offices in the United States, Canada, New Zealand, Papua New Guinea, Peru, the Philippines, Ecuador, Colombia, Indonesia, Kenya, Tanzania, United Arab Emirates, Germany, Belgium, Italy and the United Kingdom. In 2012, the Australian Government invested $334.2 million in Australia Awards, enabling 4,900 recipients from more than 145 countries to undertake study, research and professional development. Our customized approach combines deep insight into the dynamics of companies and markets with close collaboration at all levels of the client organization. This ensures that our clients achieve sustainable competitive advantage, build more capable organizations, and secure lasting results. Founded in 1963, BCG is a private company with more than 75 offices in 43 countries. The Indonesian Embassy in Canberra provides consular support as well acting as a focal point for cultural, education, political, defence and economic engagement between Australia and Indonesia. 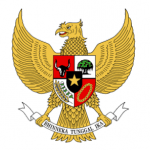 The Indonesian Embassy is very active in the local community and the Balai Budaya at the Embassy also regularly hosts cultural events that are open to the public. The Indonesian Ambassador to Australia is Nadjib Riphat Kesoema and the Deputy Chief of Mission is Kusuma Nursiawati Habir. ABC International is a division of Australia’s most trusted media organisation – the Australian Broadcasting Corporation (ABC). Its role is to showcase the best of Australian content online, on mobile and on-air to audiences in 45 countries across the Asia and Pacific region. More than 100 million people from the Indian subcontinent to the Cook Islands in the Pacific can assess programs through the Australia Network television service, ABC Radio Australia and the digital and online service Australia Plus. The division’s International Development team works with media partners across the region to help strengthen their media services. Some of the ABC International’s objectives are to promote regional dialogues and understanding of Australia’s multicultural society and Australia’s role in the region, and to foster partnerships that promote the exchange of ideas. The Australian Embassy in Jakarta is Australia’s largest overseas diplomatic mission and is led by Ambassador Greg Moriarty.